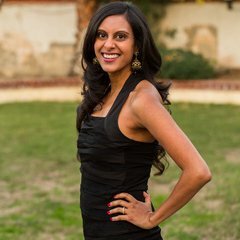 Comprehensive list of all of the wedding vendors for Indian and all South Asian weddings in Southern California. All vendors work throughout Southern California regardless of their office location(s). All of these companies are experienced at Indian weddings throughout Southern California. They also have a banquet hall, popular for sangeets, engagement parties. ShaadiShop staff has had events catered by them. They can customize to make the food Jain-friendly too. Having a food truck at a wedding would be pretty cool. They can do plated and/or family style. They can setup a dosa station at your event. Super popular, especially amongst Gujaratis. Often couples will have them cater lunch and have another restaurant do dinner or have Jay Bharat for both. Good chaat. They can do a lot of fun fusion dishes and even Indo-Mexican. Very professional, liked by venues. Super popular. Ask for vodka pani puri! Very professional, liked by venues. Some venues require a day-of planner. Refer to ShaadiShop’s main website to see which venues require it, and which don’t. Does Your Venue Have Noise Restrictions? What’s the Difference Between Indian Wedding Design and Decor? Services: Custom lehengas, gowns, matching anarkalis, saris, kurtas, etc. for the wedding party, expert advice (make an appointment). Services: bridal party robes, lounge pants, pajamas, gift sets and more. I hope having this list makes wedding planning a lot easier for you! Cheers! For venues, contact us to use our free service!